Volkswagen CEO Herbert Diess made the comment “ebit macht frei,” a play on a Nazi-era slogan during an internal company event. 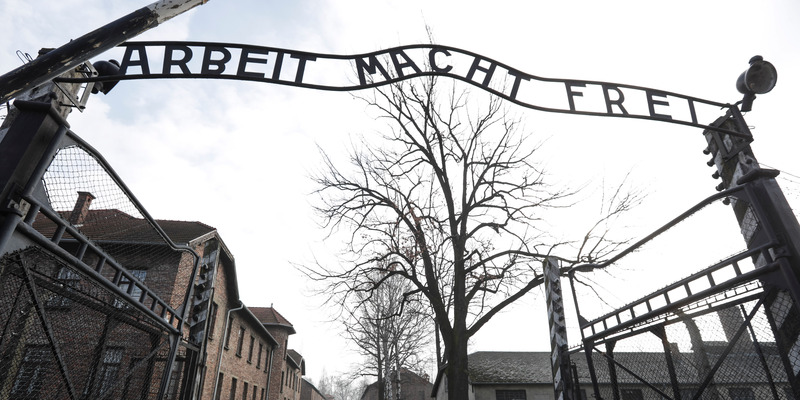 The phrase “arbeit macht frei” or work sets you free hung above the gates at Holocaust sites such as Auschwitz. Volkswagen’s CEO has apologized for the remarks. Volkswagen CEO Herbert Diess has apologized for comments made which appeared to play on a Nazi-era slogan. capping a rough week for the automaker battling an SEC lawsuit. Diess said “ebit macht frei” at an internal company event Tuesday, echoing the maxim “arbeit macht frei” or “work sets you free,” which was inscribed on the gates of concentration camps such as Auschwitz. EBIT is a commonly used acronym for “earnings before interest and taxes.” The CEO’s comments were first reported by German news outlets. The historical connection between Volkswagen and the Holocaust runs deep. In the early ’30s, Nazi leader Adolf Hitler ordered the design of a people’s car, or “Volkswagen.” The company was founded in 1937 as part of a plan to ensure Germans could afford a car, and utilized slave labour from those at concentration camps during World War II. Volkswagen’s shares are trading down 0.6% as of 9 a.m in London (5 a.m ET).